After the excitement of getting accepted into the Disney College Program settles, you will start to get asked things like, “so why are you doing the program?” and “how is working at Disney going to help your future?” And maybe you have an answer, and maybe you don’t. Either way, I’m going to tell you, from my own experience, what I believe the Disney College Program can do for you. When I set out to do the Disney College Program (the first time around), all I knew was that I needed a new adventure. Of course working for Disney was a dream of mine, but my desire to apply in the first place stemmed from something deeper than that. I had just had my heart broken only a few weeks prior to applications opening. I was not only feeling empty, but also I was feeling lost. I was a junior in college and not sure which direction I wanted to go in, but I thought that working and living in my happy place would makes things a little more clear. I expected to have a good time, build new friendships, make magic for guests and head back into my final year of college with a open mind and a clean slate. But…the Disney College Program did so much for me than that. And, if you let it, the program will do the same thing for you, too. The DCP will give you the ability to dream again. The DCP will make you feel like you’re a part of something that’s bigger than you. The DCP will give you a sense of family- and this is a family you will always be a part of. The DCP will bring you the greatest friends you will ever make…and they will still be your best friends years down the road. The DCP will give you the opportunity to explore. The DCP will make you understand the value of a dollar and the importance of hard work. The DCP will make you develop a sense of responsibility. The DCP will make you believe in magic. The DCP will make you believe in love, and not just the romantic kind. You will learn that love is a powerful emotion and that you can, and will, feel it for friends and for places, too. The DCP will help guide you toward the path you’re meant to be on. The DCP will give you invaluable work experience. The DCP will give you a chance to start over. Whatever happened in the past, let it go. Live in the present and make it the best it can be. The DCP will help you develop time management skills. The DCP will help you develop customer service skills. The DCP will help you learn how to work not only with a team, but also how to be a leader. The DCP will instill a love for Disney inside of you, and if you already loved Disney before your program…your love will get stronger. The DCP will make you feel very territorial over your favorite places throughout the resort. Whenever anyone else visits once your program ends, you will feel a pang of jealousy that they get to ride your favorite coaster and you don’t. The DCP will make you learn to cherish and appreciate the little things. The nights you spend at iHop, Steak ‘N’ Shake or the drive-thru of Taco Bell with your friends will be the nights you miss the most when you leave, I promise you. The DCP will teach you how to work hard and play hard. The DCP will help you learn how to forgive. People will disappoint you, but you need to learn how to forgive because you don’t deserve to hold onto pain and anger for it will only weigh you down. The DCP will help you learn how to network and market yourself. The DCP will inspire you to dream big. 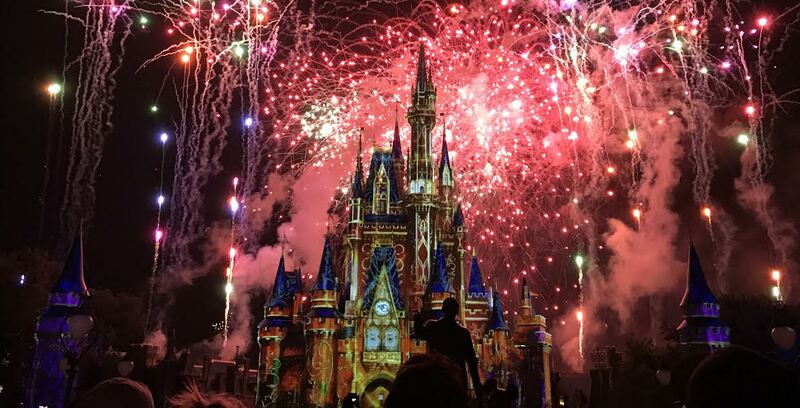 The DCP will show you that wishing isn’t silly- it helps to keep our dreams alive. And, with a little wishing mixed with hard work, wishes really can come true. The DCP will give you the opportunity to work and become friends with people from not only all over the country, but also all over the world. The DCP will make you fall in love with capturing moments. I promise you will have an enormous amount of pictures by the end of your program. The DCP will give you memories that will last a lifetime. The DCP will give you the tools you need to succeed at this whole ‘adulting’ thing. The DCP will make you adventurous. The DCP will give you a sense of confidence. The DCP will help you realize your potential. The DCP will give you a sense of purpose. The DCP will open doors for you in the future. The DCP will change your life…for the better. I must stress that none of these things will happen unless you allow them to. Too many people walk away without getting the full experience because they closed themselves off. Do not do this. Be open, be friendly and be willing to learn. Dive head first into this program and don’t look back. Don’t dwell on the ‘what if’s’ and do not go in with a long list of expectations. Allow everything to happen naturally and enjoy the ride. The Disney College Program will be the best experience of your life and you will forever be part of the Disney Ohana. Hi, I just found your blog (and I’m really enjoying it) and just found out about the DCP, and I was wondering something. For health reasons, I wasn’t able to go to college/get a job, until now and I’m 26 right now, 27 by the time I get back into college so I was wondering would 30 or 31 be too old to enter into the DCP, would it be weird or would it not matter at all? Also, never having job experience do you think that the program would be a good place to start/help me get used to working? It wouldn’t matter! The DCP is open to any student of any age. And it is a good place to start and get used to working, but it’s a very fast paced work environment.